Are you set on a destination wedding, but unsure of when to host it? Choosing a wedding date is one of the most important and exciting parts of having a destination wedding! But there is much to consider. In today’s post, we’re going to cover seasonality and how it affects destination wedding planning across Mexico and the Caribbean. 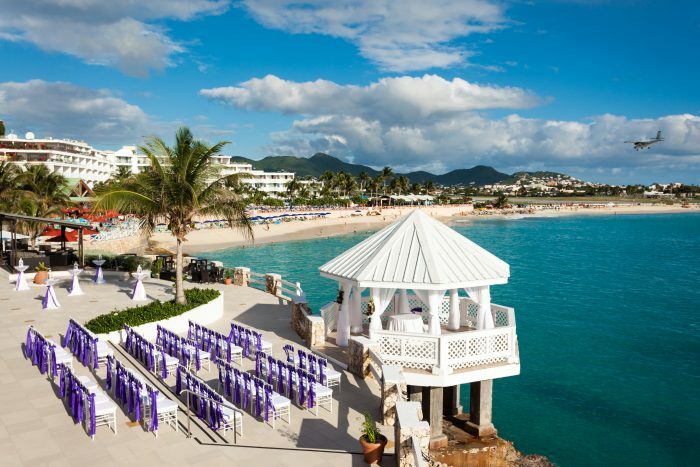 When you’re planning a destination wedding, you have to take into consideration both your guests and the time of year. When are your guests available to travel? How much notice will you need to give your guests in order to book? Figuring this out will be both beneficial to you and them, and could affect your attendance. Sure a Thanksgiving wedding could mean lower room rates, and being more affordable, but it could also result in less attendance, as many guests may already have plans. This could be a pro or a con depending on how you envision your wedding. If you are looking to stay within a set budget, it’s important to consider various times of the year. Many resorts, like Royalton Luxury Resorts and Dreams Resorts, may even offer special promotions for booking in the slower months. Resorts will differ in their level of occupancy rates, along with costs depending on when you choose to travel. These seasons fall into three obvious categories; low season, shoulder season, and high season. 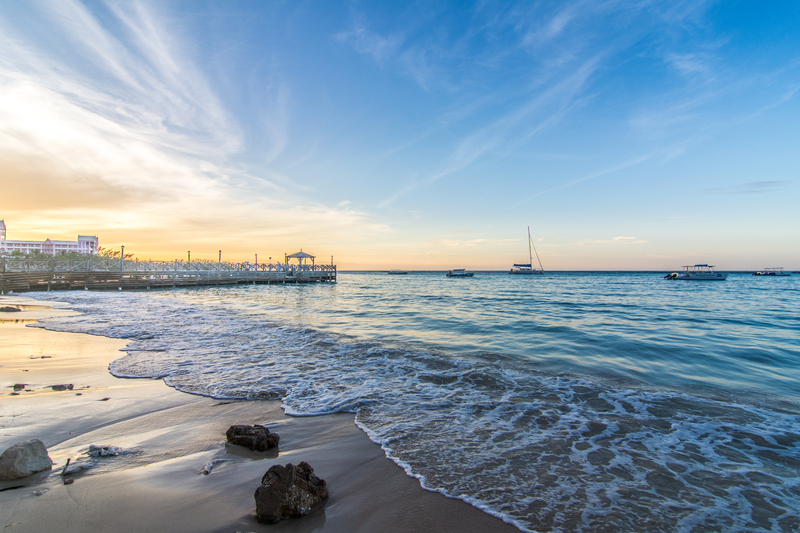 Resorts may limit access to some parts of their resort during low seasons, and during busy season you may find it much harder to snag that perfect beach chair. Various a-la-carte restaurants may operate on different schedules at different times of the year, correlating with how busy the resort will be. 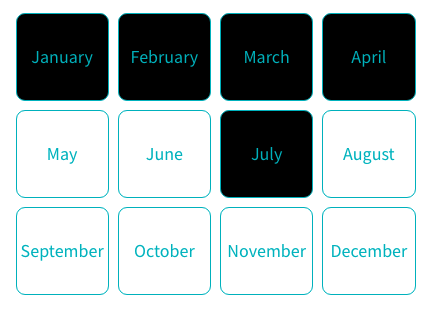 High season can sometimes have rates 25% above average and typically aligns with the months of January, February, March, April and even July. Dates for ceremonies and specific venues may book quickly, but guests will have more vacation time around these months in order to attend. When hotels are at high occupancy they are less likely able to accommodate early and late check-ins. Shoulder season is a good time to travel if you want a lively resort atmosphere, but with moderate room rates. You could see up to 16% in savings, but we highly recommend booking with at least 6 months in advance. Due to lower occupancy, you may have a wider selection of timeslots available for your wedding ceremony. Shoulder season is typically May, June, August, November, and December. Consider Holidays too. Some guests may love a Christmas vacation, and others may decline, so you’ve been warned! Low Season, in October and September, sees the lowest rates, and huge savings. 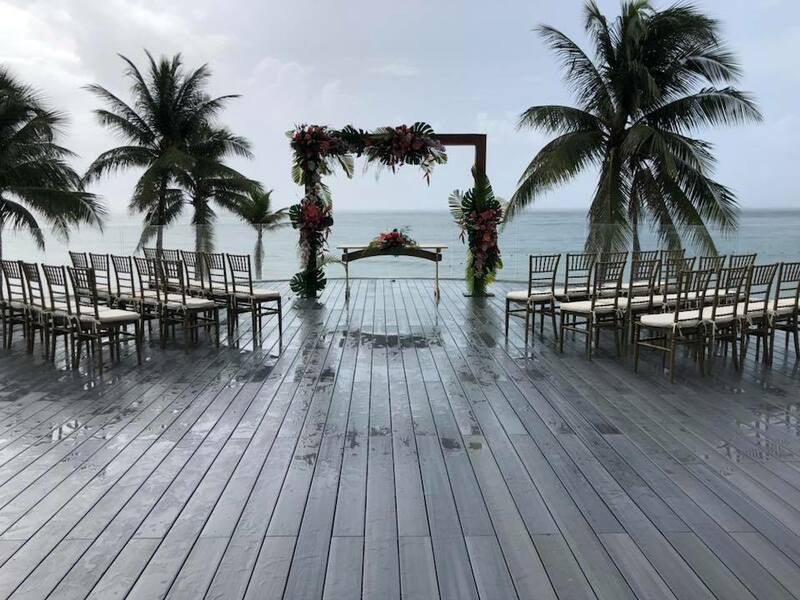 Resorts will be calm, but you should check typical forecasts to see if weather could align with your destination wedding vision. School may be in session stateside so families may be unable to attend, but there’s more likelihood you can gain early check-in and even better service as staff will be able to attend to more guests thanks to the lower occupancies. Want to learn more about seasonality, and when you should get married? There are some other things to consider, like international holidays, and blackout dates where resorts completely sell out of occupancy. Click the button below to visit our handy interactive Wedding Dates Tool.